CHICAGO – It’s week three in Season Eight of Chicago’s Asian Pop-Up Cinema (APUC), featuring films from Taiwan. On Thursday, March 28th, 2019, APUC will screen “High Flash,” a whodunnit thriller mixing romance, corporate intrigue, the environment and politics. Director Ching Shen Chuang and actor Chen Chia-Kuei will appear on behalf of the film – and Patrick McDonald of HollywoodChicago.com will moderate the Q&A – at AMC River East 21 in the city. For more details and tickets, click here. A fisherman dies of self immolation (a suicide that makes a political statement, usually a burning of the body) during a large-scale protest in a coastal Taiwan town, against a corporate petrochemical company polluting the waters. The incident becomes a media sensation and makes a political hero out of the fisherman. 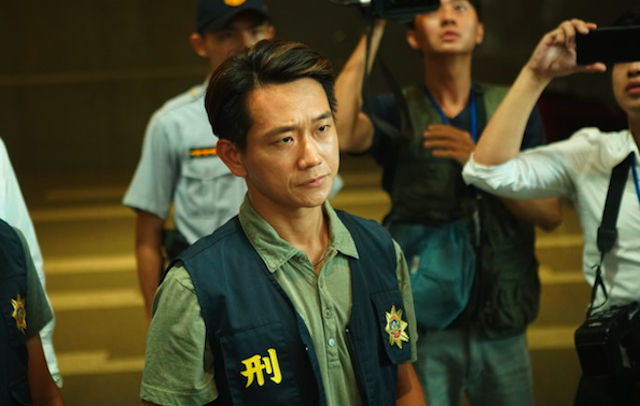 Medical examiner Chou (Wu Kang-ren) is assigned the case with public prosecutor Jin (Yao Yi-ti), who happens to be Chou’s former fiancé. When the two discover evidence of murder and a major conspiracy, Chou breaks protocol to conduct his own investigation in order to protect Jin. As the truth is gradually revealed, the case and their pasts start to intertwine. Director Chuang makes statements on the environment and politics in Taiwan, two hot bed issues. This U.S. Premiere is part of the program-packed Season Eight of APUC, as their new format (multiple films per week) will spotlight a different Asian country or theme every week. APUC is facilitated by founder and veteran film programmer Sophia Wong Bocchio, and Season Eight has an amazing line up of films from Japan, Mongolia, Singapore, Cambodia, Hong Kong, Taiwan, China, Indonesia and South Korea. Films mainly screen at Chicago’s AMC River East 21, with various other locations throughout the season (click link below at the end of the article for more details). On the day before the screening of “High Flash,” Patrick McDonald of HollywoodChicago.com interviewed director director Ching Shen Chuang in a transcribed article (below, through an interpreter) and a Podtalk with actor Chen Chia-Kuei, who portrays police officer Yang Jia-da. HollywoodChicago.com: The term “self immolation” is both a type of suicide and often is associated with a political statement or way for the person who dies to get extra attention. What does the term mean to you, and how did you want to use it in the story of “High Flash”? Ching Shen Chuang: I wanted to contrast the shiny factory on the shore, which leads into the story of environmental crimes and pollution. The other side of the film is the relationship between the medical examiner and prosecutor, and in my research I was shown a picture of a real couple embracing, which I copied in the film. It turned out to be the couple’s final embrace before they set up a scam car accident to collect an insurance settlement. I thought that was interesting, but the car accident angle didn’t work in the story. What if it was a self-immolation? It seems like he dies for a high ideal during the protest, but really it happens to him for other reasons. HollywoodChicago.com: This is a film about how corporations and politicians are often intersected. What do you think the film says about this type of relationships and power, especially when it’s both pollutes the environment and hurts people? Chuang: It’s basically mirroring what is going on in Taiwan today, in politics and the environment. I grew up in a working class family, and I’ve made documentaries I’ve where I interviewed workers, and I wanted to make sure I was representing them in ‘High Flash.’ Because people in that class constantly struggle for basic needs, even if they wanted to advocate for something like environmental rights, it would be more difficult … even if the factory is right in their neighborhood. I want to make sure the film gives people a reflection of reality, but also some hope, that the audience would get an idea of the dynamics of this working class struggle, and how complex it is from a systematic perspective. HollywoodChicago.com: How does the love story of medical examiner Chou and prosecutor Jin both help and hurt the case, and in general does love get in the way of being professional when lovers have a work relationship, in your observation? 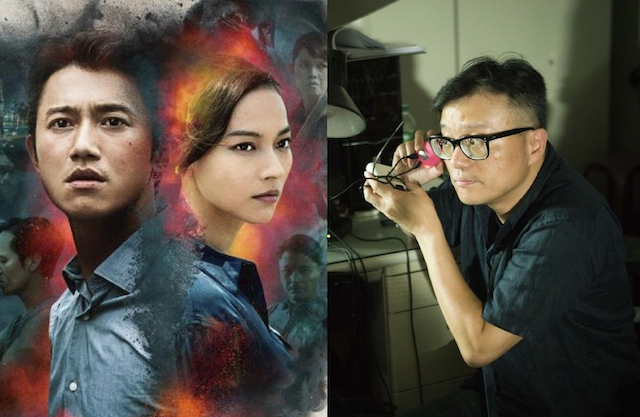 Chuang: In the context of the film, I think their relationship mostly helps … they are both in pursuit of the truth, so they have a common goal. My wife and I work in the same profession, filmmaking, and she wrote the screenplay for ‘High Flash.’ In this type of professional collaboration – as it was in the film – it is a help rather than a burden. HollywoodChicago.com: Do you think that the money of powerful people and their corporations work above the law because of what they own, or do you think our society does provide enough checks and balances so they can’t get away with that harm? Chuang: Unfortunately, I believe that a powerful corporation can work within a gray area of government and the law to get what they want. That gray area involves money, and how it influences politicians and the legal system. But in the film I wanted to highlight the young people who are protesting, and working the system for social justice, while at the same time having a passion both for their work and being ethical. My hope is that they continue on this path, and will follow through with it when they are in power, and change the systems within … I am optimistic for the future. In the Podtalk, actor Chen Chia-Kuei reflects on his role in “High Flash,” and his general adventures as a performer in Taiwan. Season Eight of the Asian Pop-Up Cinema continues with “High Flash” on March 28th, 2019 (7pm), at the AMC River East 21, 322 East Illinois Street, Chicago. Director Ching Shen Chuang and actor Chen Chia-Kuei will make an appearance on behalf of the film, with a Q&A moderated by Patrick McDonald of HollywoodChicago.com. For a complete overview on Chicago’s Asian Pop-Up Cinema Season Eight, click here.